Designers ask for volunteer knitters for various reasons. Usually it’s the last proof reading/knitting before publishing a pattern. To test knit you must knit EXACTLY what is written as if you were a brand new knitter. But still have enough knowledge to know what the designer MEANT to you to knit. I take this role seriously. I can’t be sloppy or casual. I have to sit at a table, notebook & pencil at the ready, & proof-reading each row’s instructions with care. For that reason, I don’t do it often. It takes too much mental restrain. You see, friends, I RARELY knit a pattern as written. There is ALWAYS something I have to modify either for fit, aesthetics, or just plain laziness. Most of the time all I want is the gauge, cast on number and the basic stitch pattern and the basic structure. This is one of the reasons I haven’t started knitting sweaters. Look at my projects page in Ravelry. I try to post all my modifications in the notes. Modifying a pattern is a freedom I enjoy, easy & improvised on the spot. Test knitting is satisfying something entirely else. I LOVE HELPING designers. Exactly what the Johnson O’Connor counselor said about me being a good consultant. Someone who likes to jump in, fix a problem and move on to the next one. That’s me. Hmmm…must be why I’m always modifying patterns. The designers I follow tend to post requests on Instagram. I assume some designers use Facebook too. 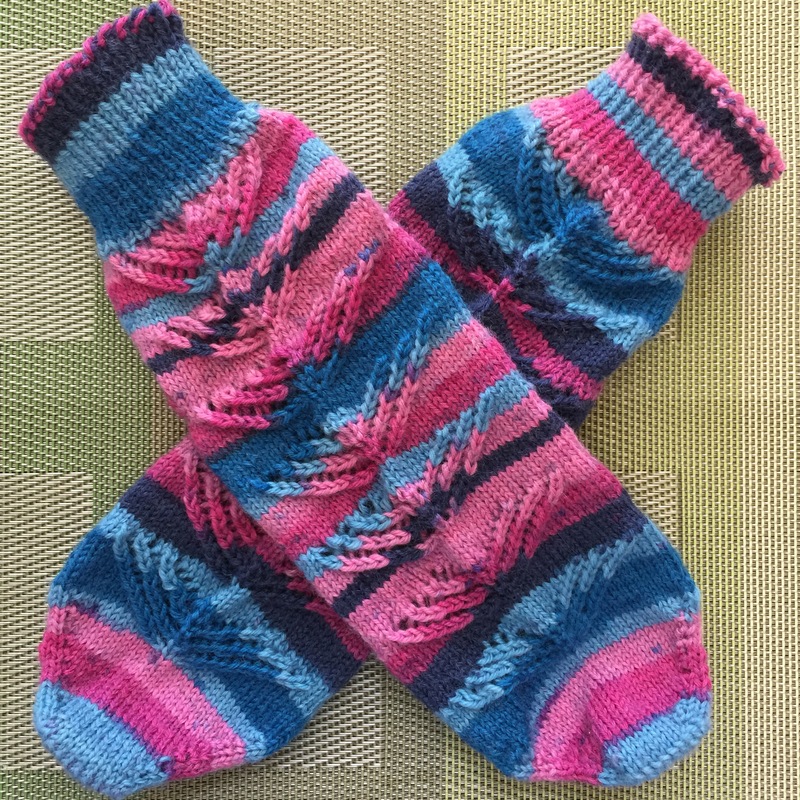 This entry was posted in Johnson O'Connor, Knitting and tagged helper aptitude, JOCRF, knitting on September 9, 2015 by slantedstitches. Part 5: Did You Know He Has Perfect Pitch? Part 1: Who Is Johnson O’Connor? Did you know he has perfect pitch? That’s the first thing out of the counsellor’s mouth. And I’m thinking,’yah, ok…so what? What does perfect pitch have to do with wanting to be a computer programmer? Is his room a mess? ….except for one area? Ok, now this counselor is crazy. Yes, huge piles of clothes clean and dirty on the floor. Yes, all the computer books are neatly organized in the bookshelf. But now I’m really confused. What does one have to do with the other? To someone with perfect pitch, it’s not just sounds that are either on pitch or off. So is the rest of their world. Perfectionist tendencies are ot out of compensation for psychology issues. But more about whether or not he can care about something. So the second question confirmed For our son, he chose to only care about computer languages and programming. Ok, so I quit expecting him to change. Solve our biggest family conflict. You want to write perfect elegant code. It could be difficult for you in that environment. Except our son loved to write code fast. I think it was a bit of a contest for him to write good code as fast as possible. I remember he had to clean up someone else’s work. That other person didn’t write for multiple platforms or backward compatibility. He did it in 24 hours. I think he developed a reputation for troubleshooting. And our son figured out a way to merge the company goals with his own. He also gained a reputation for creating code that processed data faster and efficiently. It was as elegant as time allowed. But gaming companies want faster and faster reaction times. And yes, he now lives his childhood dream in the gaming industry. It was not a straight path and no he’s not one if those gazillionaires in Silicon Valley. And there are other things he has grown to care about besides code. Some of that’s explained in the next post. This entry was posted in I Believe, Johnson O'Connor and tagged aptitude testing, career, JOCRF, Johnson O'Connor, perfect pitch on August 26, 2015 by slantedstitches. Links to previous posts at the end of this page. Subjectives are social, they need people. Objectives work best with things. I’m a half and half subjective/objective personality. The counselor’s conclusion: I would work best if I can work on my own projects but be around people. What career fits with THAT? florist, landscape designer, art quilts, silversmith, cloisonné enamel… Training (subjective/objective balance) was absolutely wonderful, I’d be the star pupil, the creative juices were over flowing, I was eating, sleeping, & breathing projects. Once I was set free to pursue my path, I thrived for about 6-12 months. Then the isolation would become unbearable with only the radio to keep me company. What’s happening? Why can’t I get the work done? Then, I’d go to a week-long workshop, and be rejuvenated for a few months. But back in the studio, the isolation grew even more oppressive. Can I just go to school forever? Forget about the real world. Instead, I’d get a ‘real’ job…florist shop, commission sales, museums, teaching, tech call center, data manager… I loved each job, make employee of the month and love the coworkers for the first year. Then being around all those people, all the time (do you hear the whining)….guess what came next…I’d find another craft that was going to be ‘it’ for me. My career was flip-flopping every two years from solo artist to little Miss Corporate. This behavior repeated so often, I thought I was really crazy. What was wrong with me!?! THIS behavior is what drove me to Johnson O’Connor. THIS subjective/objective thing explained EVERYTHING. Now, fixing it…Not easy…How does one be artistic and social at the same time? Here’s where knitting and knitting friends clicks into my life. I can knit just about everywhere I go. I can interact with whoever is around me, or I can zone out and focus on the work at hand. Either way, I am making something. Right now, I meet a group of knitters at the FedExFamily House where we teach anyone how to knit. In between teaching, we are knitting our own projects. It is the perfect balance between the subjective/objective sides. How I’m keeping the social while I’m sewing in the studio? Well, I am still in the first year of this new venture. What is working right now…technology and finally jumping into a social media I like. PODCASTS!!!! I inherited my hubbies old iphone and turned it into my micro mini-ipad. I currently have 36 hours of 47 podcasts waiting for me. Cooking, gardening, podcasting, bloggers, knitters, sewists, small business advise, grammar, word of the day, daily bible, audiobooks, short stories, TED talks…. I JUST started Instagram. I might be stuck in the studio, but I get to pretend to live vicariously through others. And when I think about it, I’ll share what I’m working on at the moment. I am quite content with my current subjective/objective work-around. 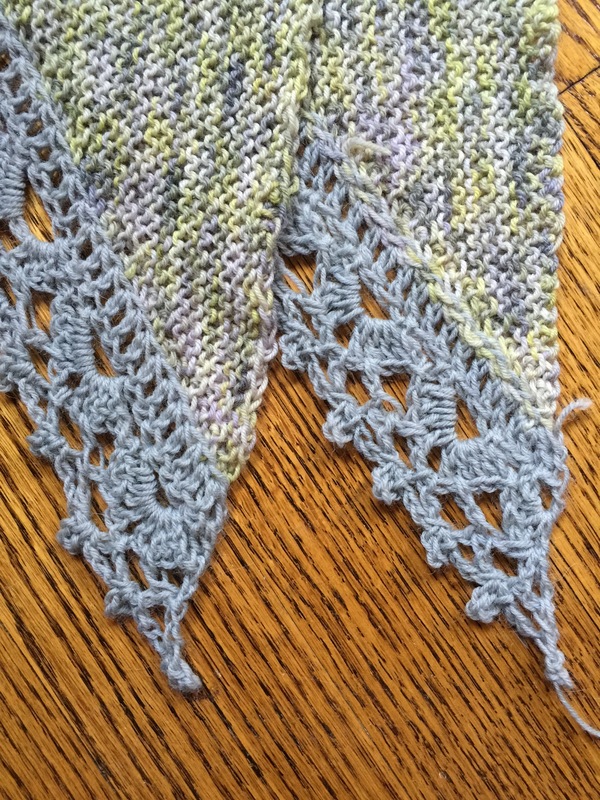 This entry was posted in Johnson O'Connor, Knitting, Sewing, Zigzagging and tagged instagram, JOCRF, Johnson O'Connor, knitting, Objective, podcasts, sewing, Subjective on August 18, 2014 by slantedstitches. You can read my initial reaction in the post, Part 2: My First Reaction to JOCRF. OK…try to connect the dots between being impatient, being a consultant and being an industrial engineer. He makes sense. I thought I was just ADD or something. Except he said “engineer.” Me…never…Too much math. My research after the test… I would have made a good industrial designer…engineer, never. What is an industrial designer? They take an idea, a concept or an existing product or environment and make changes that improve user experience. Companies like Ideo who consult with Apple or Oxo. Turns out it’s something I naturally do at home and wherever I’ve worked. Most people adjust to what’s “always been done.” I have a threshold. I’ll live with it, as is, for only so long, but if I’m still frustrated. Then I’ve got to fix it, find a better way. Last month, at a meeting, there was a table left of the door with name tags and a sign-in sheet. But someone had to point and yell, “Sign in!” After the fourth person, I knew that wasn’t working. The meeting tables and chairs were right of the door. No one even thinks to look left. I dragged the table 2 to 3 feet over the right and 3 to 4 feet away from the wall and door. In other words, the table became a barrier to walk anymore than 2 feet into the room. Now they would automatically know to sign in and take a name tag. Success. No more shutting. Or how the kitchen is organized. I store items either where I’d use them (I should move the cutting boards closer to the knives) or group items by some category like baking, serving, drinks, etc. It’s been 10 years in this house, so we are due for a major re-organization. Keeping a clean house still alludes me. Right now, I have a twisted solution. We have a large Bible Study small group. I am forced to clean at least once a month. The rest of the days the dust and clutter wins. I meet weekly with fellow knitters to teach families and older children how to knit at the residential house connected with the local children’s hospital. The other gals are seasoned knitters and I am the new kid. They would come in with lots of different project bags. My plastic bags looked bit tacky. I stitched up a few simple ones from my fabric stash and share them with the gals. They liked them. Me…the bags were ok. I’m too embarrassed to show them to you. Next bag generation, I made one for each of them as Christmas presents. I’m proud of these bags. But of course, as I see the gals use them, I see the shortcomings. Then the gals start sharing more and more about bag features they love. Zipper, wrist strap, sturdy fabric, shape….what about needle holders? pockets? My knitting is evolving as well, socks on size 0 double pointed needles (DPNs). 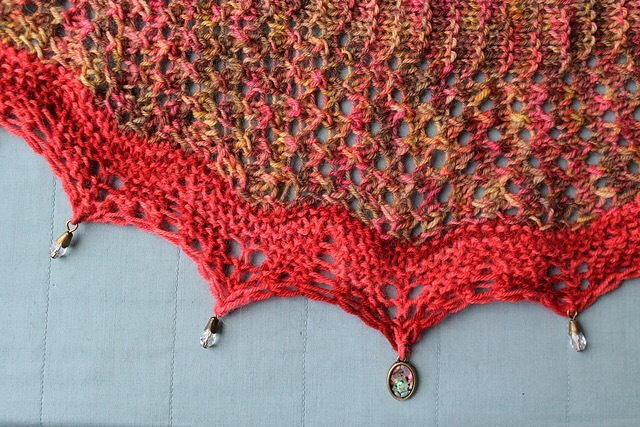 A beaded cobweb lace shawl. I needed quick access to crochet hooks, stitch markers and needle holder. Again, more feedback and affirmations. They were encouraging me open an Etsy shop by the Pipeliner retreat in March. Eloise even printed out business cards for me. I DID make a bag for her and for Laura of the Knitgirllls podcast. But I was dragging my feet getting more made. I loved the finished bags, but hated making them. It was a frustrating process. That is not the beginning of a lasting business. If I open an Etsy shop, I want to make bags I LOVE making. I do not want to be battling with these things every day. Usually, by the second or third version, I can make improvements in the design that are quicker, easier, more efficient. NOT THIS TIME. My frustration was near the give-up-&-quit threshold level. I was in desperate need of a ‘A HA’ moment. Hubby and I remembered an old orange tool bag or coin purse that had a different kind of closure. Squeeze the ends to open and it snapped close. He found it. It was a red coin purse. It was sacrificed for research. So now, I’m happy with the outcome of this bag. It took a few more weeks and a few Craftsy classes to finally get the process down. Although, I still need to create a checklist for assembly, at last count, there are 30 pieces in this puzzle. And I’m always forgetting something. There’s always something to improve. There’s always some problem to solve. This is what makes things interesting…who knew impatience was a good thing. This entry was posted in Johnson O'Connor, Sewing, Zigzagging and tagged aptitude testing, Johnson O'Connor, Modifications, process, purse design, sewing on July 21, 2014 by slantedstitches. I first heard about Johnson O’Connor Research Foundation (JOCRF) from one of hubby’s professors years and years ago. Timing couldn’t have been worse, with hubby still in grad school, our first baby and a first house. The thought of spending $400 for a test and a long trip to a major city was the same as flying to Italy to buy a Lamborghini. I regret that thinking now. I needed help. I had a career path that looked more like a maze with lots of dead ends and wrong turns. I loved each job and excelled in them…for about a year, then I tolerated them and then hated them by the end of the second year. OK, maybe it was just immaturity…but I didn’t outgrow this behavior. I REALLY thought there was something really wrong with me. 15 years after that first conversation, for my 40th birthday present to myself, I went. Day 1: a long day of very different quick tests. 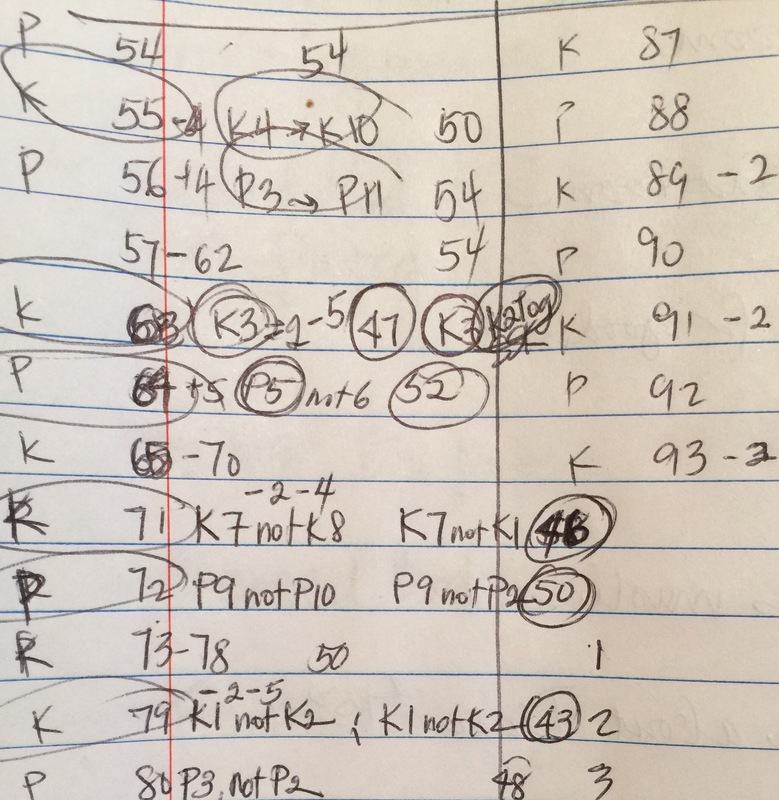 Some were fun, like playing a game, some were like a throwback to a miserable high school test. Each only lasted approximately 20 minutes. Definitely exhausted at the end of the day. Day 2: hubby was able to be present at the counseling session which lasted an hour or more. You’re not a very patient person, are you? B. Me? Impatient? That’s the last thing anyone would have called me! C. Did he really say that? Where in the world did he get that from? D. Was this the biggest waste of my time AND money AND an insult!?! E. OK, that REALLY HURTS! How do I keep from crying? Amazing how many thoughts go through in a few seconds. And how quickly tears come. He went line by line with the results of the tests, while I try to calm down. I cannot recall everything he said. Writing this post is helping to bring back some of that memory. I’ll have to parse out some of the details in subsequent posts. Let’s just say, as he talked, the more comfortable I got. It went further than comfortable. It was very weird to heard someone talk about me as if they knew EVERYTHING about me. He was making SENSE of all my quirkiness. UNTIL the very end when he said I’d make a great industrial engineer. What’s an industrial engineer? Assuming it involves 4-6 years of school and a lot of math, calculus, physics. That’s NOT GOIN’ HAPPEN! No way. That’s about as relevant as the Briggs Myers test said I was most like a chemist. I reacted that evaluation the same. Ha! What a joke! Me!?! I nearly flunked chem in high school. So did I waste our time and money? I did not. It was the best investment I’ve ever made. I am not an industrial engineer, but it turns out I DO THINK like an industrial designer. This entry was posted in Johnson O'Connor, Zigzagging and tagged aptitude testing, JOCRF, Johnson O'Connor on July 15, 2014 by slantedstitches.